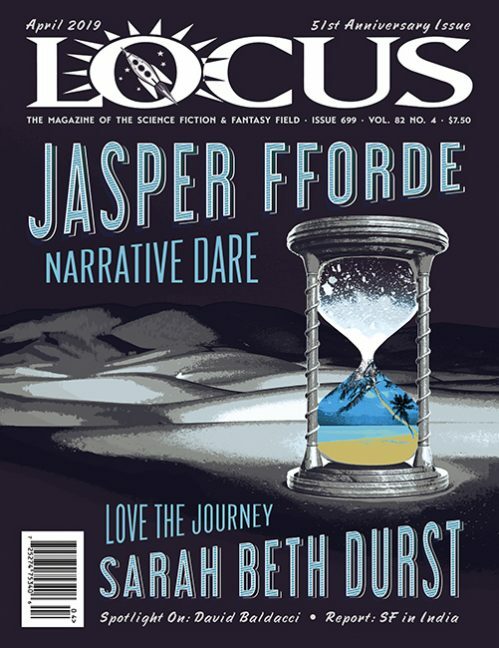 I’ve been thinking about what I would want to know about Locus, had I not spent the past twelve years working for them in one capacity or another. When I think of Locus, and especially when I think of it as a group of people and a place to work, I think of bright, energetic, intelligent people working in a distinctly whimsical environment where museum-grade artifacts mingle with classic SF artwork from the ’50s and oceans of books, packing materials, and cluttered desks shoehorned into two tiny rooms. I suspect, though, that from the other side of the front page of the magazine it must look like a distinctly monolothic entity: something large, intimidating, official and even mysterious. Locus, in my experience, is none of these things. It’s a tiny, bustling cottage industry that is usually so overloaded it doesn’t have time to stop and say hi. And that’s why I thought I might invite you into MY Locus workspace. So that you can see that there’s precious little mysterious about it, and if there’s anything at all that’s intimidating it’s wondering how I find anything in amongst the chaos that is the Locus Antipodean Annexe. Here in my tiny corner of the Antipodes we are renovating. That means that furniture has had to be moved to accommodate other things like painting, decorating and so on. 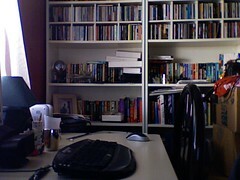 The place that the furniture and such is moved to is my office ( a small-ish bedroom I use for most of my Locus and other editorial duties). 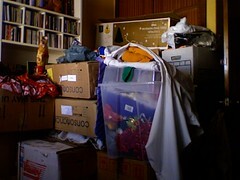 As you can see from the photos below, there are boxes stacked in the room, stuff thrown on top of the boxes, and general anarchy in one corner of the room. That’s probably more telling than I want it to be about how things run here. 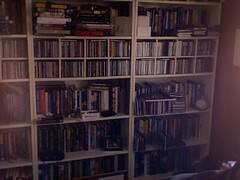 There are also as you can see lots of bookcases. Bookcases overflowing with new books, unreleased books, reference books, magazines, CDS, and lots of other stuff. 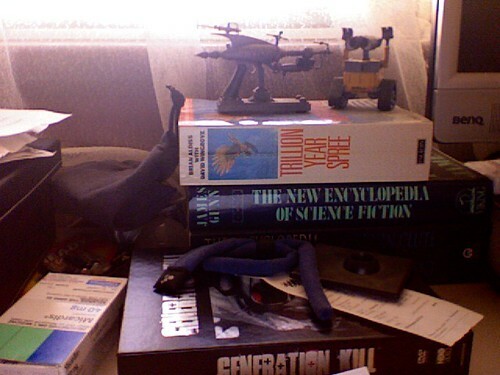 The bit of it, though, that seems most Locus to me is the little tableaux beside my monitor on my desk, where my Dr Grordbort’s Raygun is holding WALL.E for authorities. It’s whimsical and silly and kinda cool. It also sits alongside (well, on top of) Aldiss’s brilliant Trillion Year Spree, Gunn’s less brilliant Encyclopedia, my blood pressure medication, and some DVDs. Together it’s kind of human and jumbled, but focussed on SF and all that’s cool about it. And that’s how I think of Locus and it’s mysterious Oakland HQ. Charles doesn’t tolerate this kind of chaos, but the same kinds of things are smattered throughout: a award statuette here, a wind-up robot toy there, an old Grecian urn in the corner. 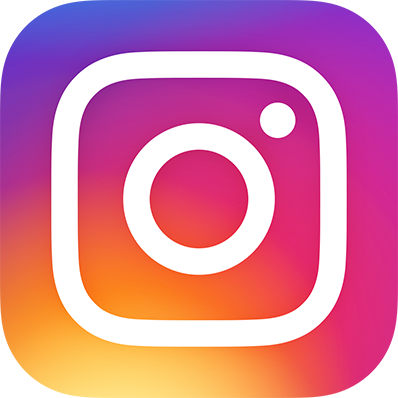 I think, if you love SF, if you could visit you’d not only like it there (I love it), you’d feel very comfortable and at home. That the office team manage to produce a magazine every month in such gently distracting surroundings constantly surprises me. One day, they should have tours.